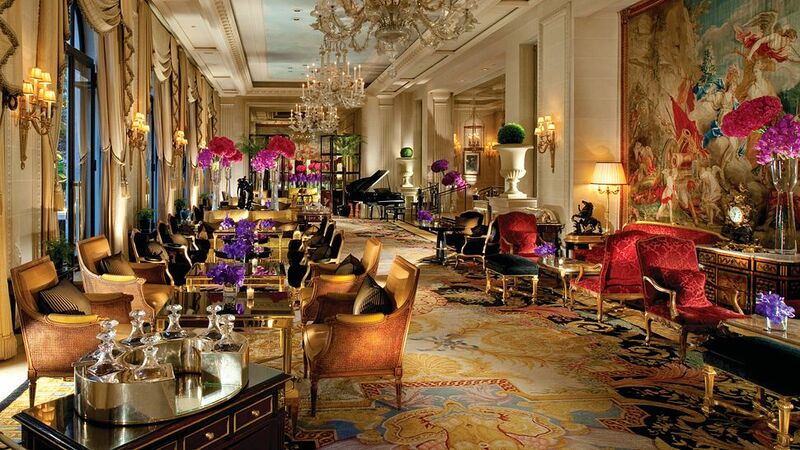 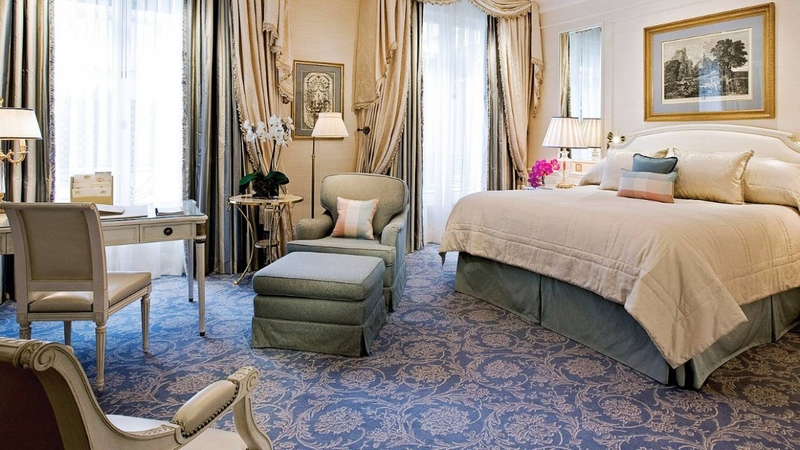 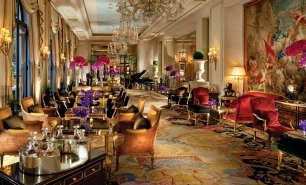 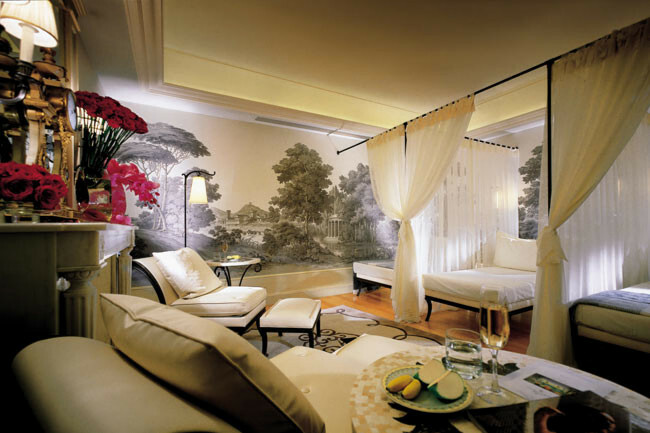 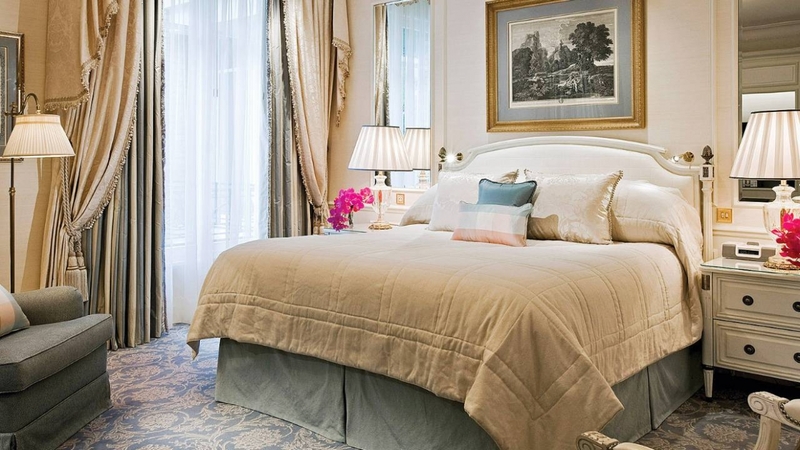 The Four Seasons Hôtel George V has been a landmark Parisian hotel ever since it opened in 1928. 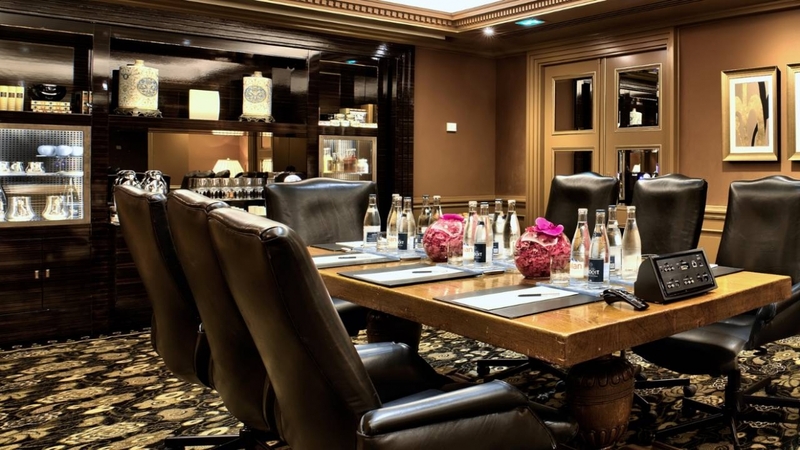 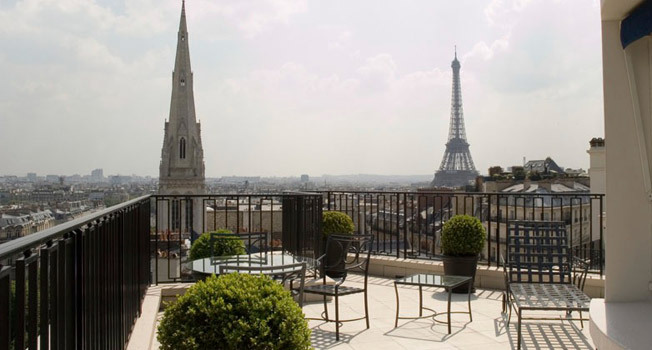 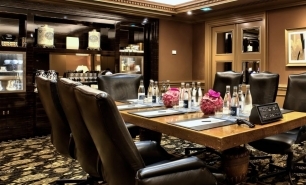 The hotel is located just off the Champs-Élysées on George V Avenue in the heart of the famous Golden Triangle of Paris, the city's most upscale shopping district, which includes George V Avenue, Rue François 1er and Montaigne Avenue. 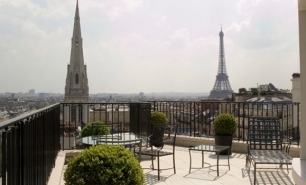 La Défense, where the headquarters of many of Paris’s financial institutions are located, is 15 minutes drive from the hotel. 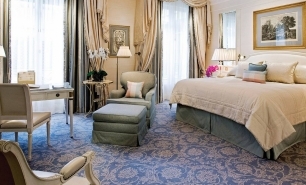 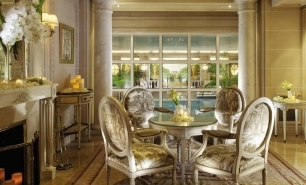 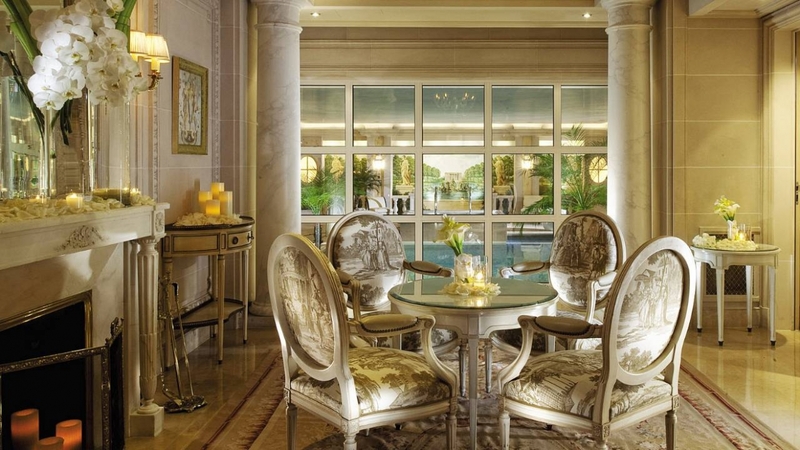 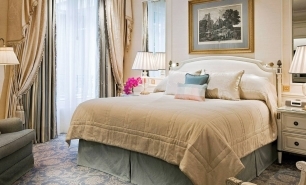 The Four Seasons Hotel George V has 244 guest rooms, which include 185 rooms (37-60sqm) and 59 suites (60-139sqm), some of which have private terraces offering views of the city. 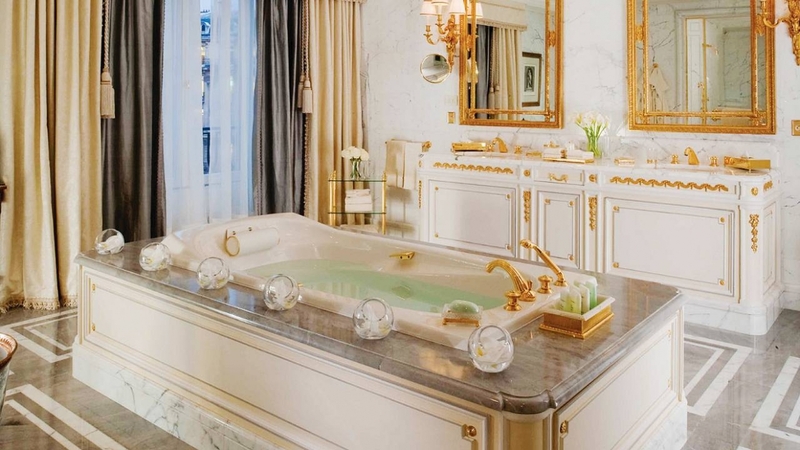 There are 6 luxurious suites, namely 2 Royal Suites (245sqm), three Presidential suites (200sqm) and one Penthouse Suite (160sqm). 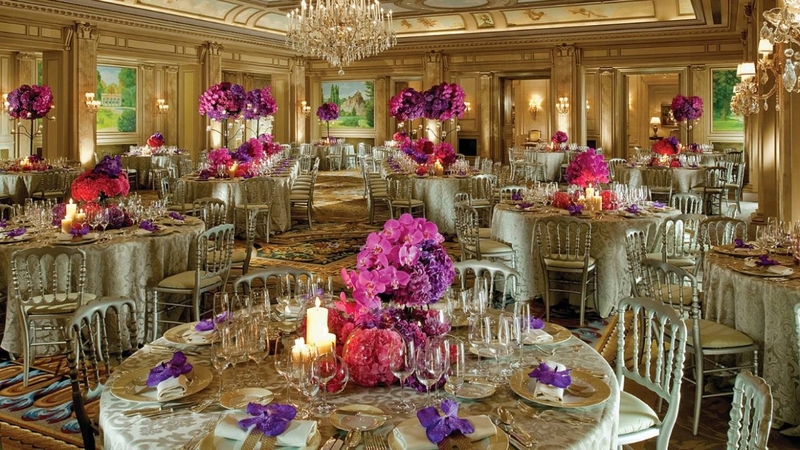 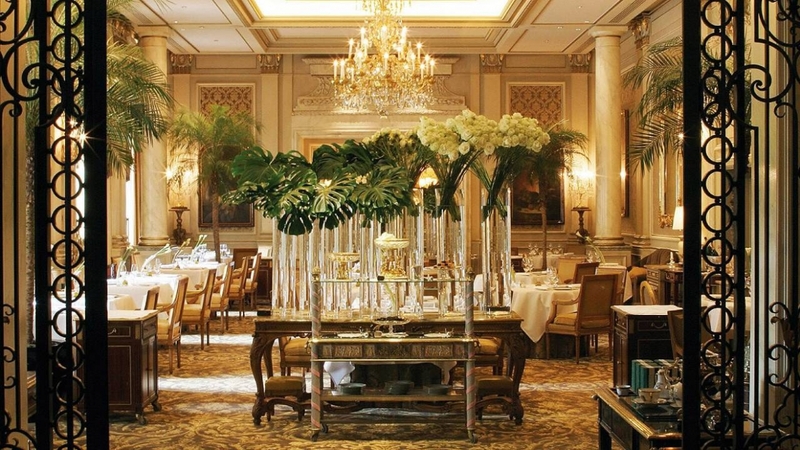 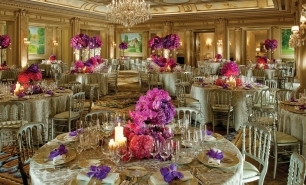 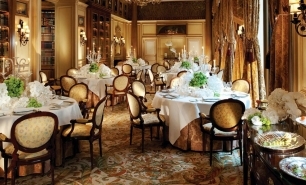 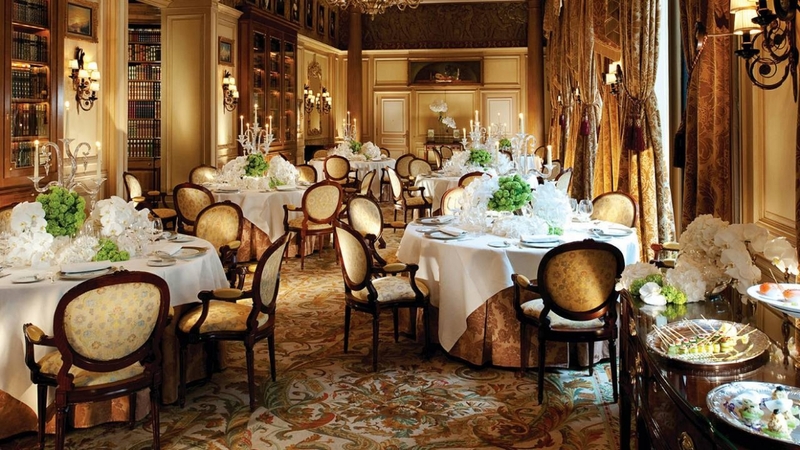 La Cinq, the hotel’s famous Michelin-starred restaurant, offers fine French cuisine. 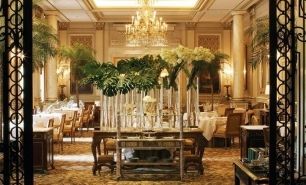 Light snacks can be ordered at Le Bar, while La Gelerie serves elegant teas, a light dinner menu and cocktails either indoors or on the hotel’s private courtyard during the summer months. 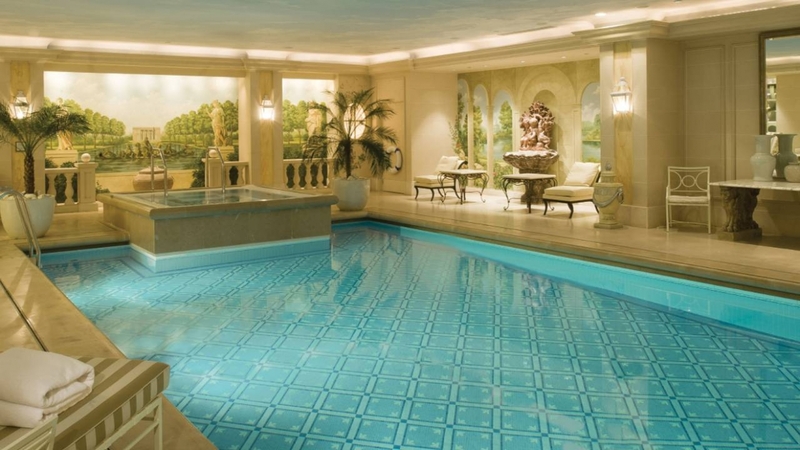 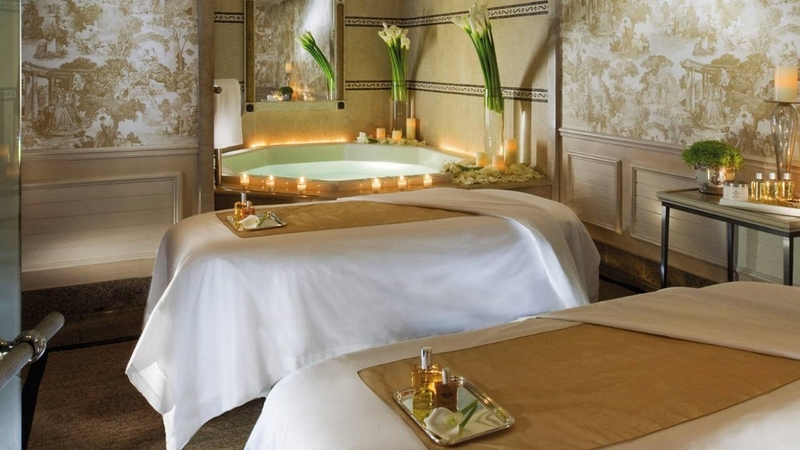 The hotel boasts an expansive health club and luxurious spa, with swimming pool, saunas, steam bath and whirlpool. 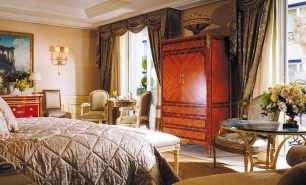 40-50 minutes to Paris Charles de Gaulle Airport (CDG), 40 minutes from Paris Orly (ORY) and 40-45 minutes from Le Bourget Airport (LBG), 15 minutes by car from Gare de Nord train station for Eurostar trains from London and Brussels.